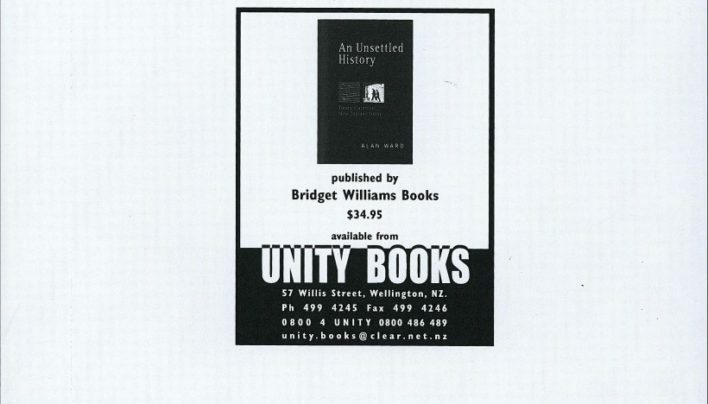 An advertisement featuring An Unsettled History by Alan Ward (Bridget Williams Books). 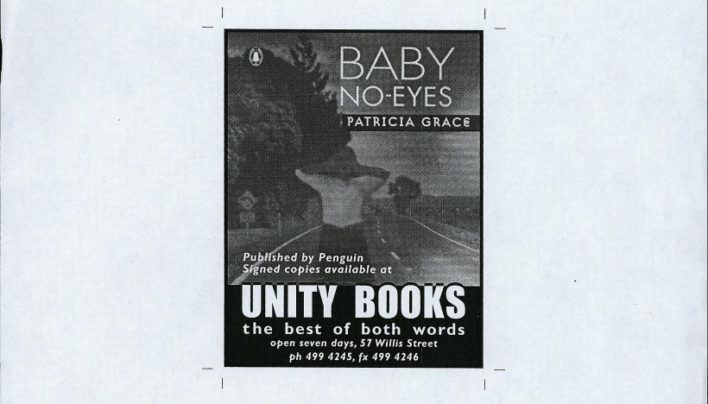 An advertisement featuring Baby No-Eyes by Patricia Grace (Penguin Books). 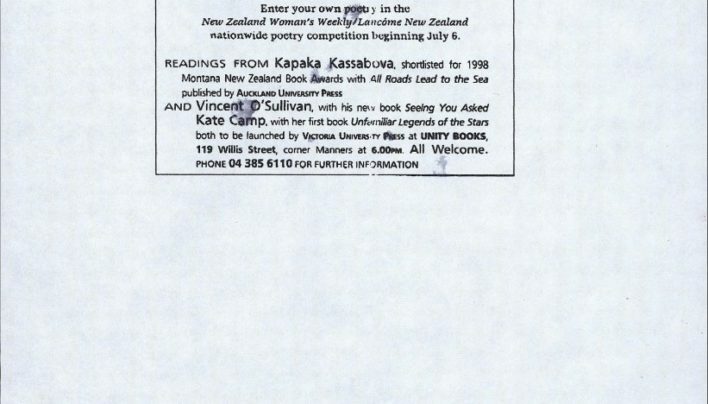 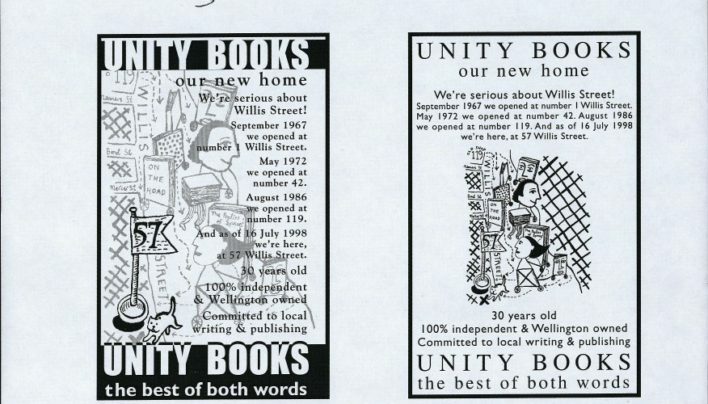 A draft advertisement for an event at Unity Books celebrating the first New Zealand National Poetry Day, with readings from Kapka Kassabova, Vincent O’Sullivan and Kate Camp. 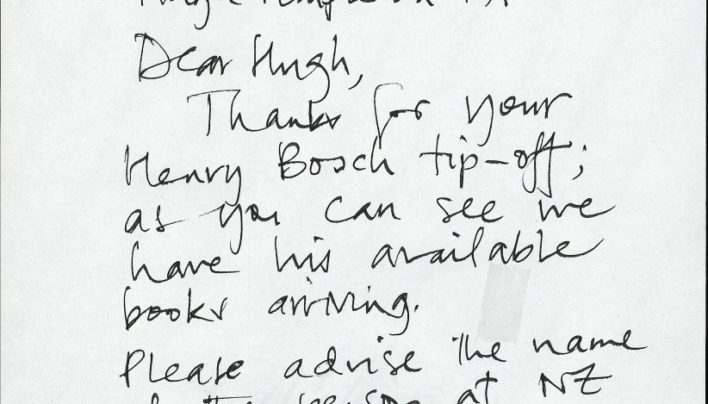 Customers are often the source of valuable information about visiting or interesting authors – an example below from 1998. 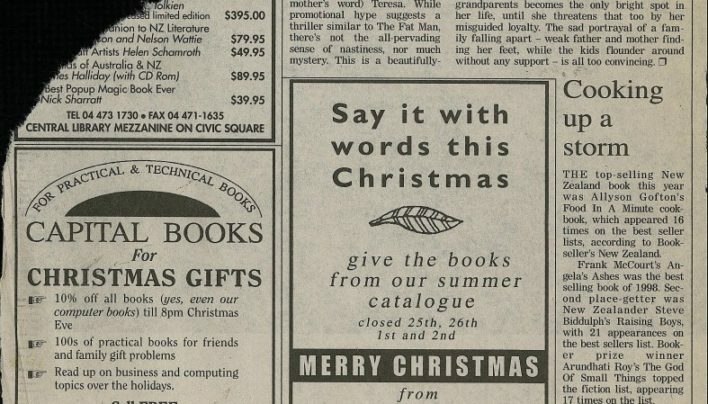 A newspaper advertisement from 1998. 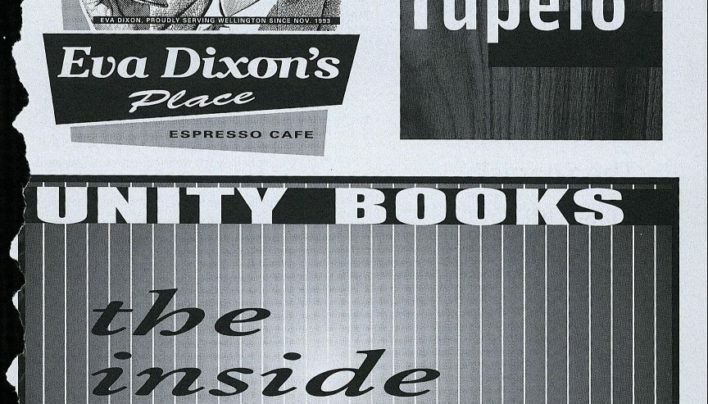 An advertisement from 1998, probably from the NZ International Film Festival programme. 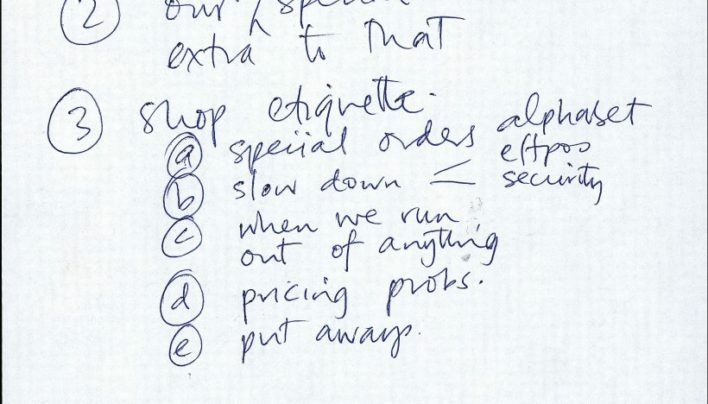 A full schedule of issues to discuss at our pre-Xmas-rush staff meeting. 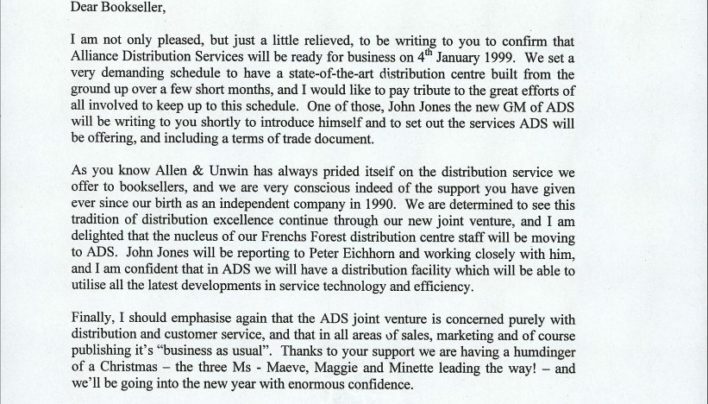 In 1998, Allen and Unwin established Alliance Distribution Services in Australia to take care of the distribution of titles under their agency.